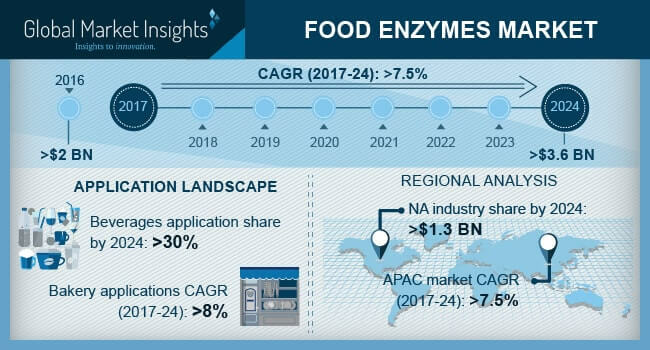 Food enzymes Market size will surpass USD 3.6 billion by 2024; according to a new research report by Global Market Insights, Inc.
North America is expected to capture highest share in the global market and witness over 6.1% CAGR up to 2024. Rising trend for nutritional diet patterns, especially in U.S. will essentially support the regional growth. Increasing consumption of fortified meat, processed and canned products across the region has resulted in proliferating enzymes demand among the food manufacturer.